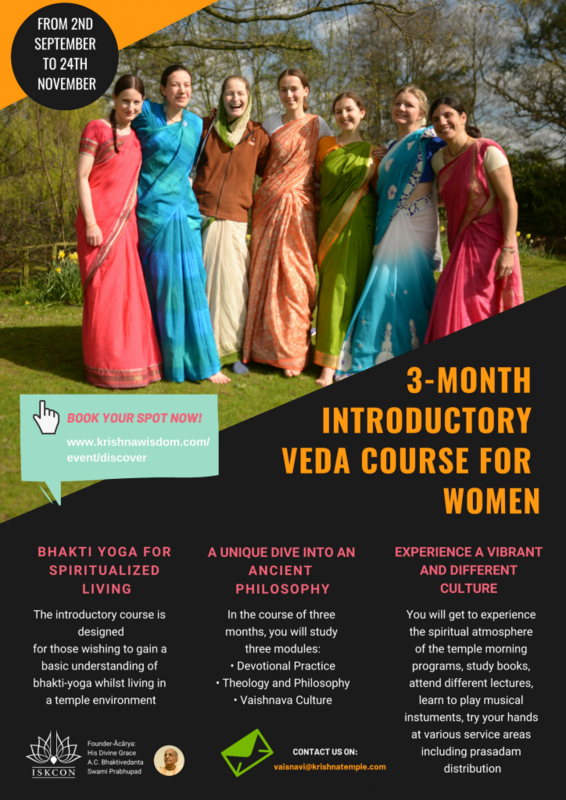 This is a three-month residential course, starting 2nd September 2019 ending 24th November 2019. Experience devotional lifestyle at Bhaktivedanta Manor amongst devotees and like-minded students. Learn to build up a regular sadhana (devotional practice) by attending the daily morning and evening program in the temple room. The course covers the studies of Devotional Practice, Theology & Philosophy and Vaishnava Culture. To commend success in completing the course, students will be awarded a certificate.